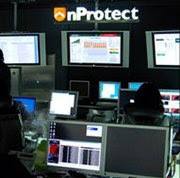 Microsoft(MS)'s regular security updates were released for January 2012. Users who use MS OS strongly recommended update to be safe from Windows Kernel SafeSEH Bypass Vulnerability, Object Packager Insecure Executable Launching Vulnerability, CSRSS Elevation of Privilege Vulnerability, MIDI Remote Code Execution Vulnerability, DirectShow Remote Code Execution Vulnerability, Assembly Execution Vulnerability, SSL and TLS Protocols Vulnerability, and AntiXSS Library Bypass Vulnerability. This security update resolves two privately reported vulnerabilities in Microsoft Windows. The vulnerabilities could allow remote code execution if a user opens a specially crafted media file. An attacker who successfully exploited the vulnerabilities could gain the same user rights as the local user. Users whose accounts are configured to have fewer user rights on the system could be less impacted than users who operate with administrative user rights. This security update resolves a publicly disclosed vulnerability in SSL 3.0 and TLS 1.0. This vulnerability affects the protocol itself and is not specific to the Windows operating system. The vulnerability could allow information disclosure if an attacker intercepts encrypted web traffic served from an affected system. TLS 1.1, TLS 1.2, and all cipher suites that do not use CBC mode are not affected. Thus, for classes of functions, the value is known and the task of constructing the optimal quadrature is reduced to finding the coefficients and nodes on which the lower bound is achieved. For a number of classes of functions this problem has been solved. For example, look at the sample of Research Paper Writings when such a quadrature turns out to be a composite formula of rectangles.